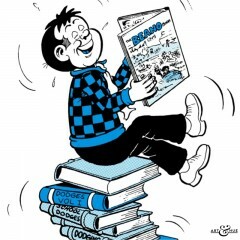 Roger the Dodger pop art print, part of the Beano collection inspired by the iconic British comic. 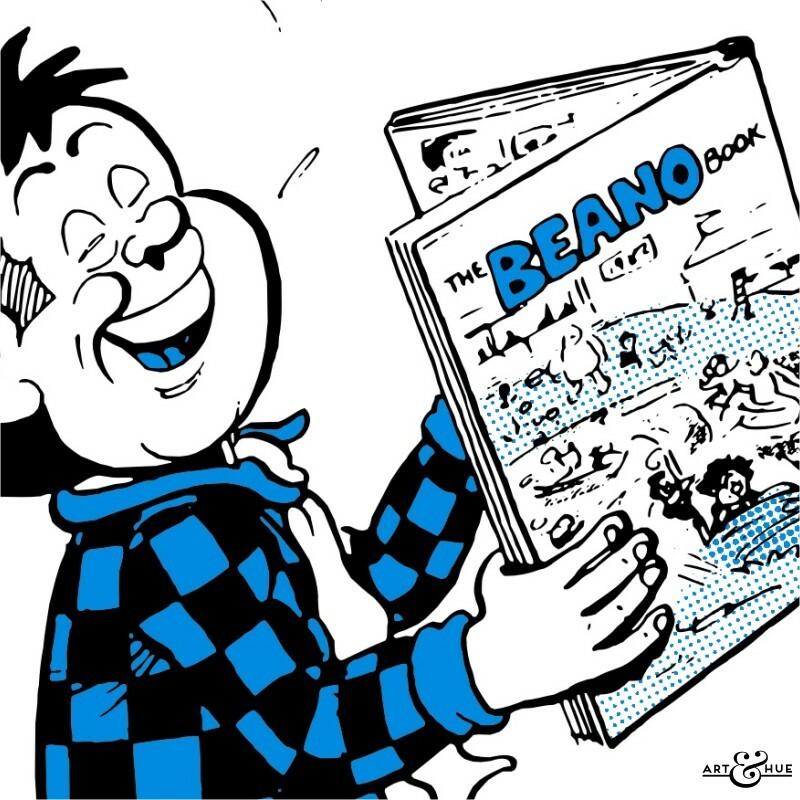 Stylish pop art of Roger the Dodger, sitting on his pile of books full of dodges, enjoying a laugh whilst reading his Beano, part of the Beano pop art collection by Art & Hue. 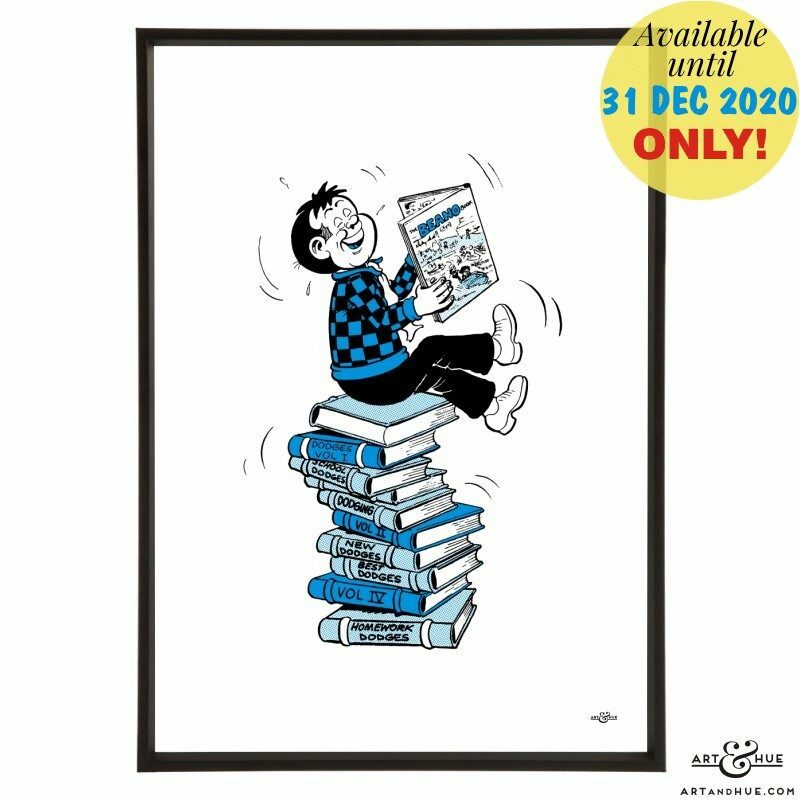 Ideal for a light-hearted touch to the walls of a library or office space, this Roger the Dodger print is also available as part of a pair of two prints.